Beverly and I want to thank you for visiting our web site. Here you will find a great deal about our church and church family. It is our desire to help others come to have a personal relationship with Jesus Christ and to grow spiritually in following Him. 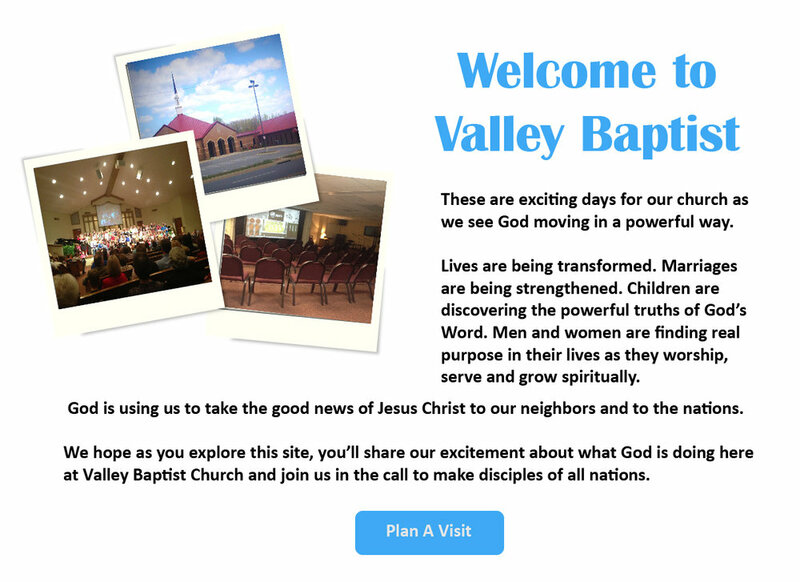 If you live in or are moving to Searcy or the White County area, I want to personally invite you to visit one of our services and experience what God is doing here at Valley. We always love having guests and I believe you will find the folks here at Valley to be warm and friendly. Why not give us a try?